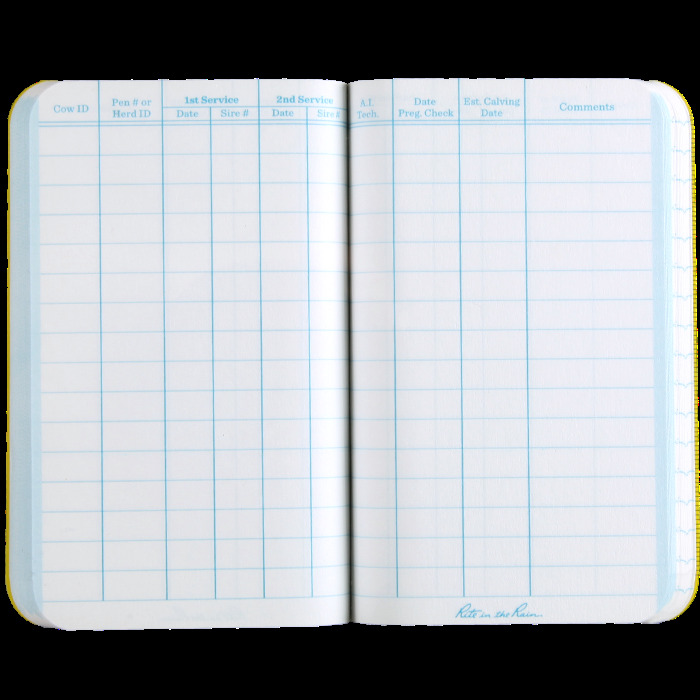 Rite in the Rain - Cow Breeding Record Field-Flex 3" x 4 5/8"
The Cow Breeding Record Book has a place to record ID numbers, the dates of service and the estimated due date of the calf. 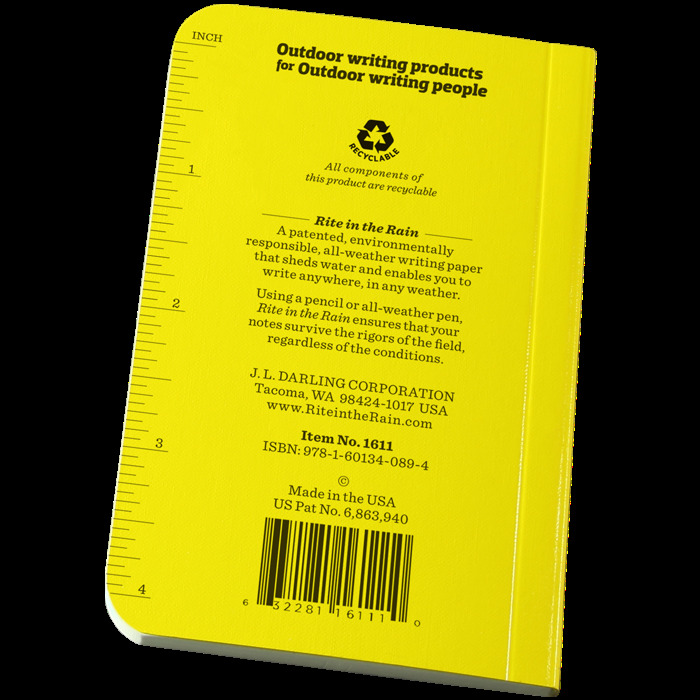 There is also a handy column for comments. 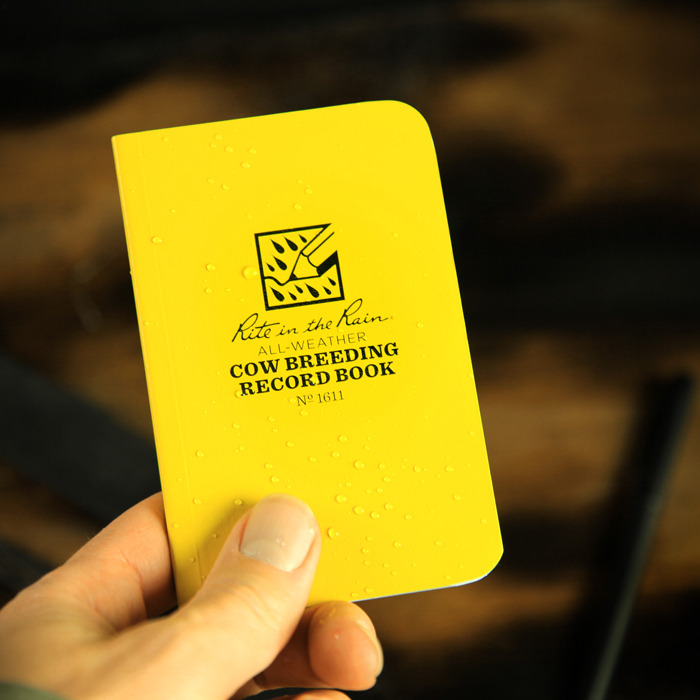 3" x 4 5/8" perfect bound. 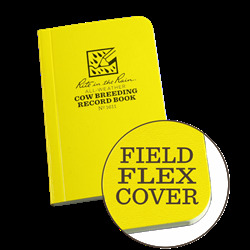 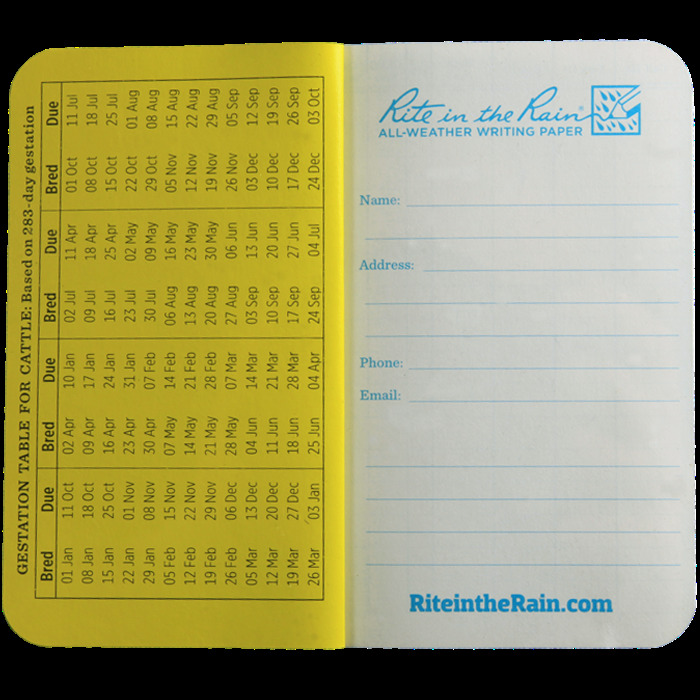 Yellow Field-Flex cover with 32 custom Cow Breading pages and 16 Universal pages (48 sheets) of 20# Rite in the Rain.